That made my yarn very happy. So happy, in fact, that we ate cookies for dinner and scrambled eggs with toast for dessert. Some nights are just like that. My boys favorites! I make them small and they eat a ton...I should try the large size. Hope all is well! Stay well! Glad to see you back here. I read, but I'm not ready to write again. Crazy times! Inspired by your post I made more coffee to savor over your pictures. whoa, those look so delicious!! knitting AND big cookies? there's a perfect moment, for sure. I just checked in here and giggled when I saw this post! 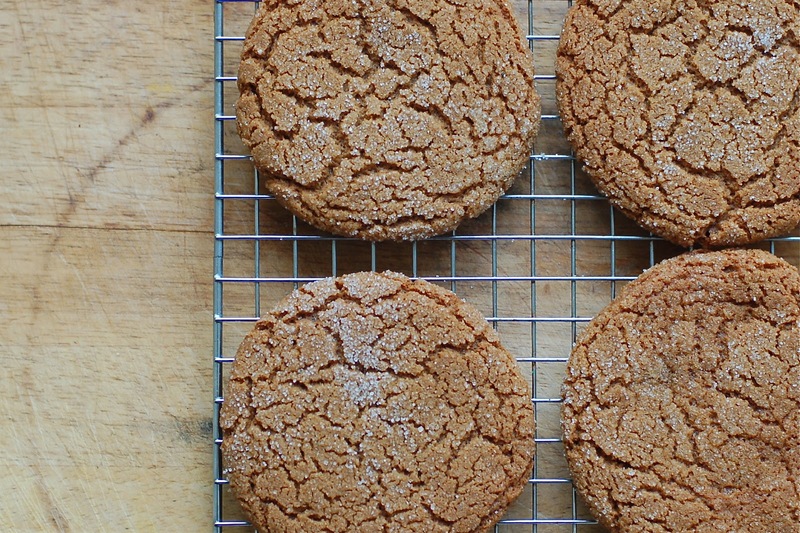 I just now took the last batch of Giant Ginger Cookies from my oven! I found it in The Better Homes Cookbook and it is deelish! Love the look of the yarn you are using- it's beautiful- I'm excited to see what becomes of it!! Bring them much more online to your fans. Instagram Sign in you have actually been marked by your close friends or various other teams.